Keeping your device free of malware attack is quite a difficult task to accomplish especially when there are cybercriminals lurking to hack into your system and steal away confidential information. Mobile application development companies must shoulder the responsibility to ensure security to their ultimate users. However, relying completely on the developers will be none less than a foolish act on the part of the end users. If they are running their android mobile or tablet in the absence of the anti-malware application, then they are just exposing their device to endless viral attack. Hence, zeroing down to the best mobile antivirus for their Android handsets is of foremost importance but one must ensure how far such anti-virus apps will prove effective to secure the mobile device from different types of attacks? Therefore, to know, the play store is overcrowded with endless options but installing the most effective ones needs proper research. Here is a list of five best antiviruses for Android available in the play store to keep off malware from attacking the android system. 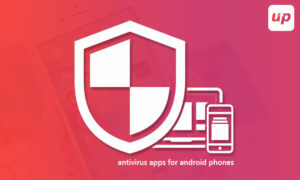 Avast mobile security is undoubtedly the most popular mobile antivirus and has proved its worth of retaining the top list where the inbuilt skills of developers to offer something that goes beyond than merely offering a platform to scan the Android OS. There is a call blocker, firewall and anti-theft measures to lock down the system or wipe out data from the remote location in case if the device is stolen. Once a paid app, it is now available free of cost but is accompanied by ads wherein small premiums are paid to remove them. ‘In-app locking’ is another feature that comes with the premium version whereby the device will seek out a PIN before opening certain apps to prevent malware infiltrating the system from launching apps similar to internet banking. Bitdefender antivirus available free of cost caters to scanning and cleaning of the device and offers real-time anti-virus protection against any malware application once installed. The scanning takes a couple of seconds to complete and runs perfectly well in the absence of any configuration. This is an offshoot of otherwise heavy but version of the antivirus. The heavy version is also available in the play store. Avira free antivirus scans all those files, which are downloaded on the phone’s memory along with those, which are present in the phone’s external memory such as SD, card as well. The identity safeguard feature integrated verifies each email address in the contact list to discover any occurrence of data breach and immediately takes action against them. The premium version offers improved support with an automatic blocking of probably malicious websites with frequent updates. 360 security, one of the most popular antivirus android application has over 100 million downloads and has 4.6 as an overall rating on the Google Play store. The ton of features is there in its kitty. Scanning device files for malware, apps, and games for the presence of any virus enable real-time protection to the device along with an anti-theft feature is all that you get from 360 security antivirus app. Also, the app’s inbuilt cleaner and booster service, as well as app lock feature, renders an extra security through password protecting any app on the device to keep out non-permitted access. McAfee security and power booster is available free of any cost in the play store and is definitely a noteworthy name for antivirus software available for the Android operating system. This application offers a free scanner along with other features such as a tracker to locate a lost device as well as options to lock the system or wipe out features from a remote location. More so, the app is capable of taking a snap of the thief as well. Other features include scanning installed apps, prevent and locking down of the system in case there is a threat of sensitive data getting stolen and directly blocks user access to malicious sites. The premium version removes unwanted ads. The above-mentioned lists of Android antivirus apps are enough to make your decision since they are the most effective and most sought-after applications available in the app stores waiting to be installed on the user system. 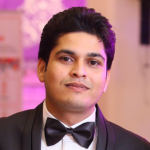 In addition, it is the responsibility of top-rated mobile app developers such as Fluper to adopt a sense of responsibility when designing mobile applications using the free development tools available in the market or sharing codes with others, which run a risk of carrying viral software and are often harmful. Therefore, if you wish to design a safe application, then availing the service from a dedicated mobile developer hired is advisable to have a virus free application at your disposal. Previous articleIs Artificial Intelligence a challenge to human Grey Cells or a friendly fusion of Both?? Next articleLet the apps do all the planning: Fun it all out on the last day of 2k17, aren’t coming back!! !